With clocking and master-clocking, like many audiophiles, for many years, I believed only what most market literature tells us, that “parts per billion is better than parts per million, and is the only criteria that matters". Based upon this same marketing of the partial truth, I believed that ‘atomic’ clocks are ‘more precise’ than OCXO implementations. Taken individually, and in certain disciplines, each of these statements is true. These statements do not mention the overall higher importance of obtaining the lowest phase noise, lowest harmonic distortion possible together with the best Allen Variance performance in addition to stability measurements (PPB/PPM). In fact, phase noise measurements of the atomic (Rubidium or Cesium) or OCXO/VCXO circuitry figure directly into the effective jitter calculation for the overall clock component itself. After extensive listening and conversations with Hasegawa-san and others in the pro-audio world, it is now clear to me that phase noise, Allen Variance and THD of the overall clock circuit are as important and probably more important than ‘stability’ measurements, be they parts-per-million or parts-per-billion. Cybershaft designs for and with all of these criteria in mind, not just short or long-term stability measures. I have included the links to my system postings on my 3 favorite forums; the current list reflects a system that has been built over a long period of time and that has undergone a large number of changes in direction including what I would deem successes, marginal improvements and out-right failures along the way to achieve the very natural, organic and realistic musical presentation and experience that I experience and enjoy today. For my digital front-end over the last 20+ years, I have owned multiple single-box units and separate transport & DAC combinations; I have also owned an Esoteric G-0s and later a G-03x clock in addition to testing and considering other master clocking options for both frequency-multiple re-clocking and 10 mHz "master clocking". All of these units had their benefit and were of exceptional build quality along with a high-end price tag. I constantly found myself liking the sound and musical playback in many ways but there was always something missing regardless of clock manufacturer; the presentation was bit too analytical even though it was obviously more precise. In early 2016, I happened to find a reference to Cybershaft while searching HiFiShark.com new and used sales ads for 10 mHz master clocks. After much investigation and many conversations via email with the owner, Kenji Hasegawa I decided to take a chance on a dual Rubidium & OCXO master clock. 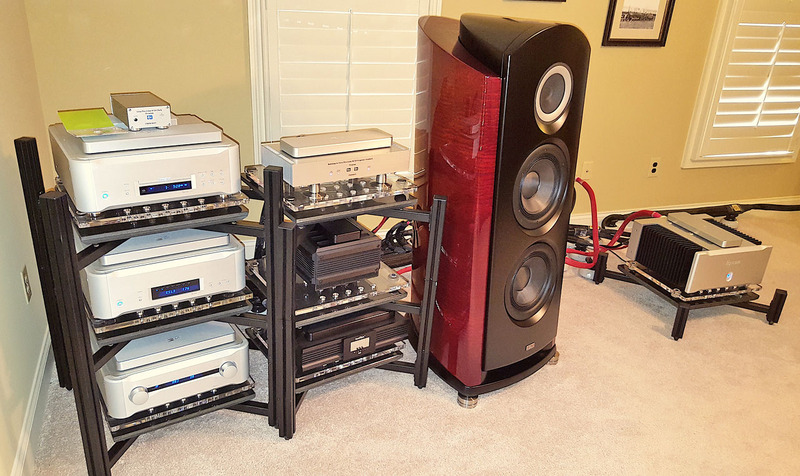 Their proven experience in the professional audio and video world coupled with a large number of Esoteric, DCS and other high-end audio users in Asia-PAC told me I had found something special at a very reasonable price. Writing today after many months of owning 2 Cybershaft master clocks and testing others, I can state without a doubt that it is my honor and privilege to have found Cybershaft and be a very lucky owner of their outstanding products! 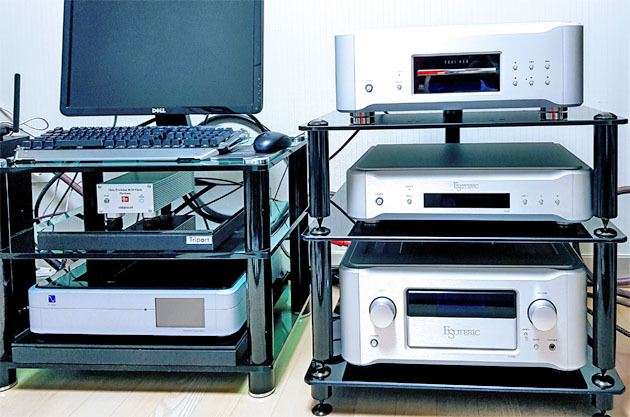 The build quality, sound reproduction quality of the units and customer service from Hasegawa-san and team are in a class of their own and I could not be more happy with how my system sounds and portrays music, the venue, the performers and the overall performance! 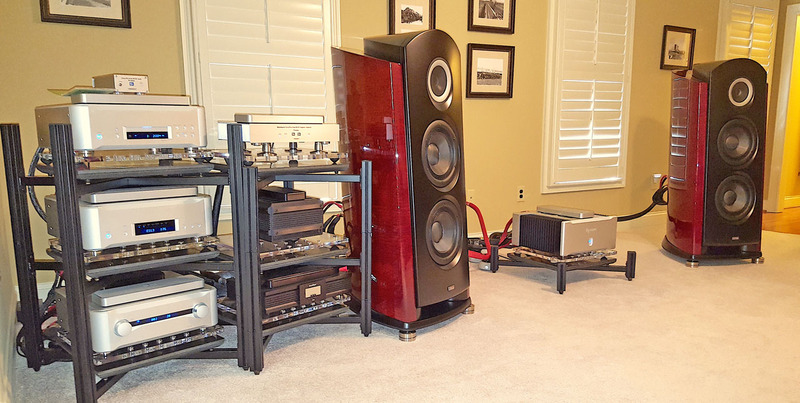 The level to which they care for each unit's build, testing, certification and each customer is better than I have ever seen in over 30 years in high-end audio. Each unit comes with complete and very clear documentation of every calibration and other tests that are performed on each unit prior to its shipment. 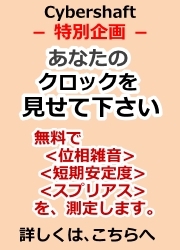 Furthermore, Hasegawa-san will build a unit, perform all of the testing and provide the documentation to the user in advance of shipment so that the buyer has a chance to review the results and give the approval for shipment! I utilized the Cybershaft RB-OCXO-01 'dual master clock’ offering for a long time and was very happy and impressed with the initial playback improvements in my system. After 3 months of using the Rubidium clock option, and at Hasegawa-san's recommendation, I started to rely solely on the OCXO output and found that every single aspect of the music playback experience was vastly improved over the Rb implementation. Over the past year I have also evaluated 2 other OCXO premium and limited level clocks from Cybershaft and found time and time again that OCXO is 'the best' way to reproduce music that is as faithful to the source as possible. My days of focusing on PPM/PPB accuracy measurements are done as is the use of Rb-based implementations; OCXO is vastly superior to my ears. 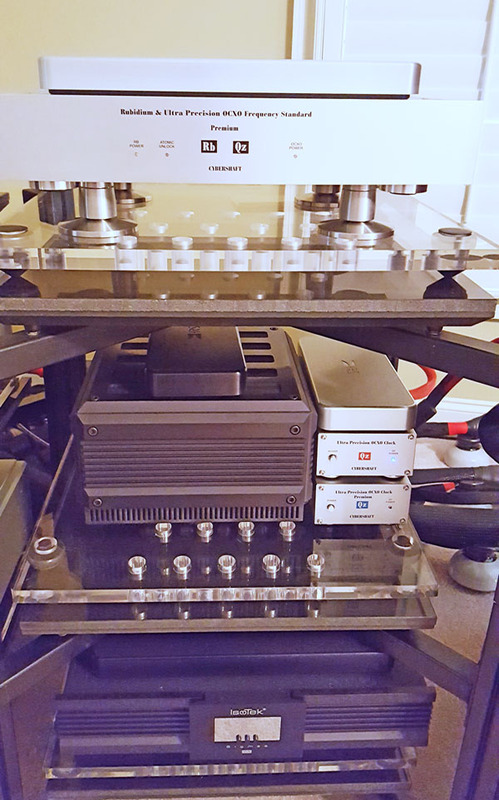 I have upgraded from the original RBOCXO-01 dual master clock to a premium limited custom-built OCXO version that includes an improved power supply, custom transformer shielding, solid copper internal bottom plate and improved mounting and vibration isolation technology overall plus the ability to add Stillpoints UltraSS or other isolation footers in a number of configuration. There is also the addition of a chassis grounding connection to the new clock that allows me the obvious benefitof adding a grounding plane connection to my current star-grounding device to be on par with all other devices in my system. *In all my years of system building and music listening, ever since this new clock arrived and following the addition of some new "Masters Series" Statement Gold power cords from David Elrod and the newest Shunyata SIGMA level AES/EBU and 50-ohm clock/digital cables, my system has never sounded better than it does today! I'm writing this several months after the arrival of the new clock and introduction of new cabling; I've had ample time to add each of the above 1 at a time, burn them in and truly understand what each is adding to my system. - dimensionality of instruments versus overall ensemble: as noted above, all instruments and voices were so much better individually but not at the expense of the correctness and improvements to how the ensemble performance was rendered! *The OP14 level curated unit I spent extensive time testing was returned to Cybershaft and was sold to a new customer who is the chief designer behind one of the industry’s best-known power technologies and cabling company! I have had the honor of collaborating with Hasegawa-san to specify new design elements to be tested that give me that last bit of perfection without sacrificing musicality; these refinements have been built into my latest Cybershaft custom-built clock and are being evaluated for inclusion in future products. 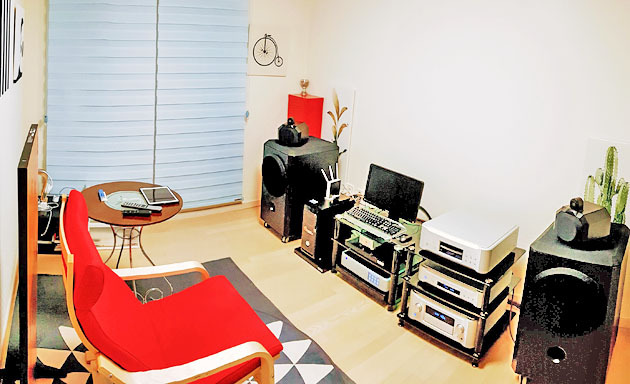 I have found Hasegawa-san to be as passionate about innovation of new products and perfecting existing products as he is about musical reproduction and customer service. It has and will continue to be, my honor and good fortune to be a Cybershaft customer and to benefit from the realistically priced and excellent performance of their master clock units! Please review my systems link on Audiogon or the other forums listed below and let people know I am happy to answer questions about any aspect of my experience with Cybershaft products, master clocking in general or any other topic related to 2-channel audio playback. This is the product use report. 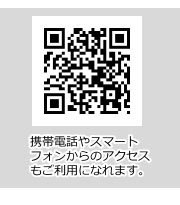 It is used in the K-03X and N-05 products in ESOTERIC. After using the product, the arrangement and arrangement of the instruments has become clear. Also, the phase of the stage and the stereographic scale have improved beyond comparison. This is a quality you'll never hear in the price range. Enjoy listening to music more.Became. It must be a good product.